At a time when most teenagers are focused on school, friends and hobbies, Portland, Oregon’s Yazmin Morales was focused on keeping herself and her family safe. She, her siblings and her mother were homeless for much of Yazmin’s life, and she often found herself taking on the role of adult in their day-to-day life. She always believed a brighter future was possible, however, and a little over a year ago she began the hard work to turn her life around. Determined to graduate high school, she completed the Oregon Youth Challenge Program (OYCP). But when it came to planning for college, Yazmin knew that if she stayed in her current family situation, her chance of achieving her goals was low. That’s when the TK Foundation-funded Worksystems and its Career Connect Network came into her life. Yazmin applied for the organization’s Hillsboro In-School Program, seeking the support she knew she’d need to make her dreams come true. Staff worked closely with Yazmin to help her improve her home-life situation, including housing and working to improve her relationship with her mother. She also received support as she successfully applied to Portland Community College, seeking scholarships and applying for the College’s Future Connect program, which supports low-income students throughout their education. Today, Yazmin is one of Worksystems’ true shining stars. She excelled in her 2014 summer work placements, always willing to take on extra responsibilities and leadership roles. 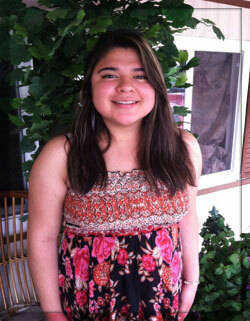 And she is thriving at college, where she is focused on training for a career in the healthcare industry. Yazmin is just one of the 1,200 young people that Worksystems supports each year. Like Yazmin, 97% of youth served by the organization’s programs are low income; 71% are kids of color. Motivated to reconnect with school or work, they face the barriers that poverty and lack of education can present. Worksystems’ programs help disconnected youth like Yazmin get on a path to a successful career, with the life skills necessary to stay on course. Because everyone deserves a shot at success. Portland, Oregon’s Worksystems develops policies and designs workforce development programs and services delivered through a network of local partners to help people get the skills, training and education they need to go to work or to advance in their careers. The organzation’s partners include employers, labor groups, government, community colleges, high schools, community-based and economic development organizations.